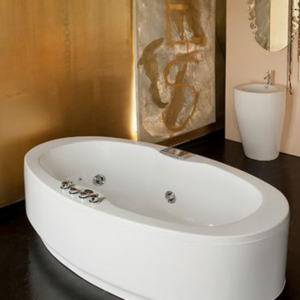 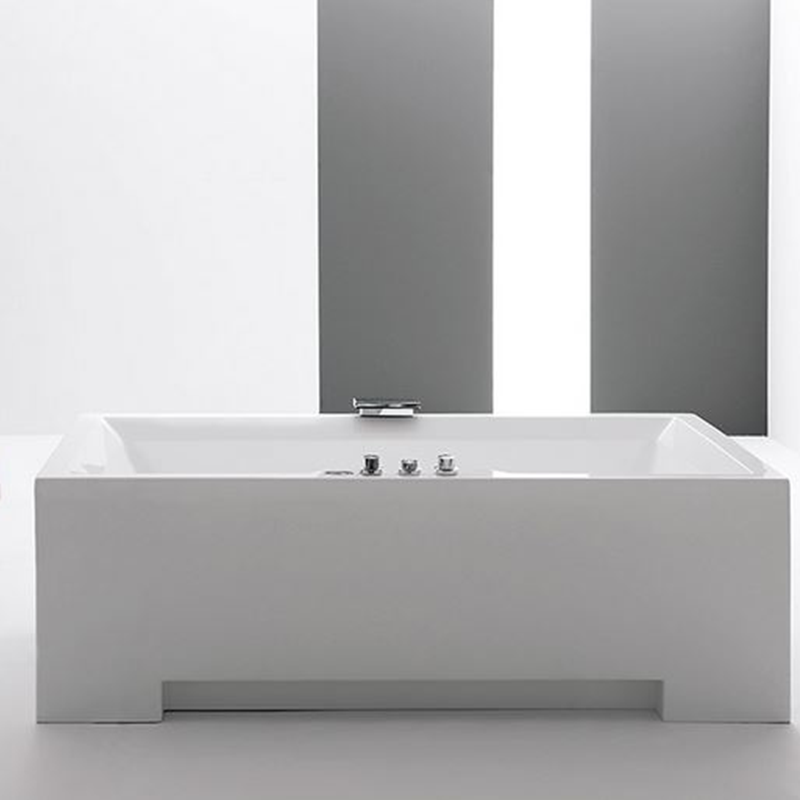 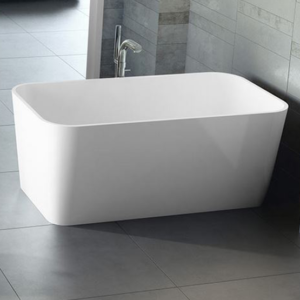 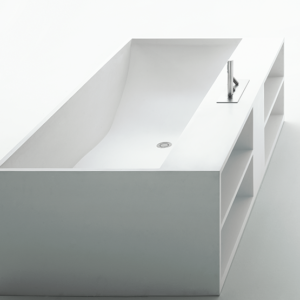 Deep, double ended luxury freestanding bath in a compact format, with the addition of distinctive cubic styling. 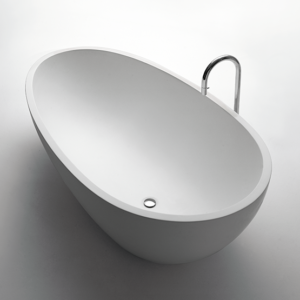 A big steel disc with backrest is in white Exmar, that can accommodate more than one person. 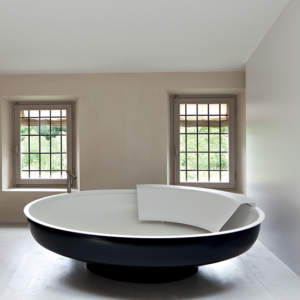 With The Ufo bathtub, take a leap into the future. 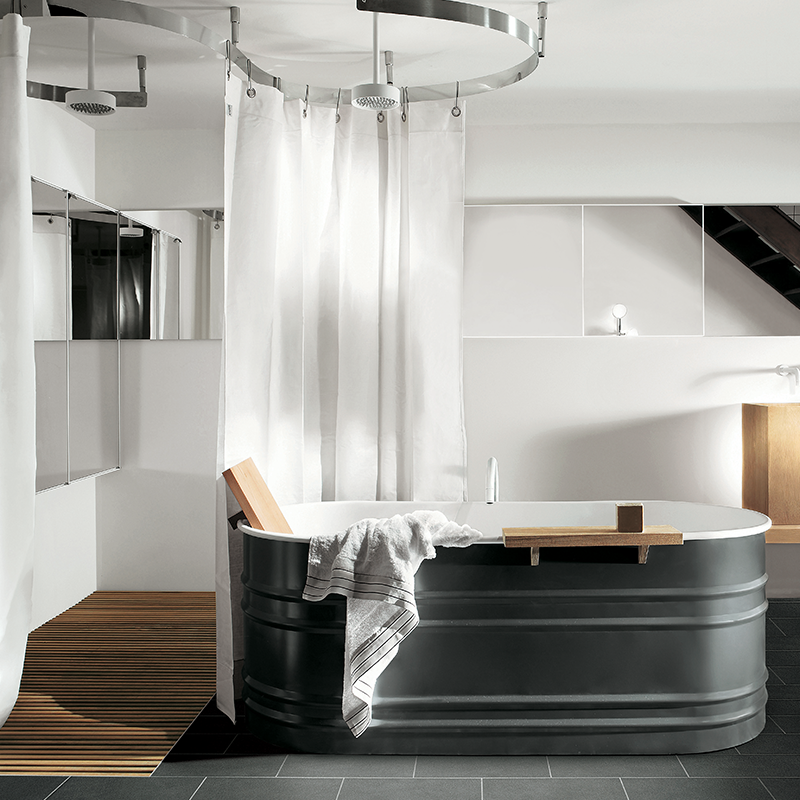 Hi-tech meets glamour - polished metal or black and white.